More Transforming Negative Self-Talk - Description | W. W. Norton & Company Ltd. Whether an infrequent occurrence or a constant running narrative, internal self-talk can be mildly irritating or severely debilitating. Not always the classic sign of schizophrenia or other serious psychiatric disorder, it’s a common mental health complaint that can lead to depression, anxiety, phobias and obsessive-compulsive thoughts if left unchecked. 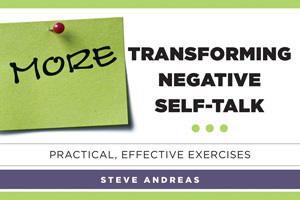 In this rich collection of practical, take-charge strategies, the author reveals how self-critical voices can be transformed and used to your own advantage.